Reports are out claiming that Yoann Gourcuff is ready to leave Lyon this summer. It is said that the French international midfielder counts Arsenal boss Arsene Wenger among his fans. 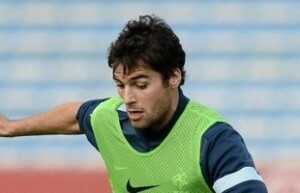 Gourcuff told Ouest France: “If clubs are interested and interesting, I don’t close the door to anything at all. “I have a certain idea of football, a philosophy on how to play, I know in which conditions I can flourish and in which I can’t.